Karnataka Samskrit University has predominantly four wings. They are Teaching wing, Research wing, Publication wing and Administrative wing through which the university has to be dynamically active. It is necessary to promote the activities related to Sanskrit in Karnataka through such academic efforts. Research should be the result of our wisdom or consciousness. This would result in indigenous thinking. Hence the main intention of the SamskritUniversity should be to establish a symbiotic relationship between ancient and modern knowledge. Sanskrit should be nurtured in the harmony of both. 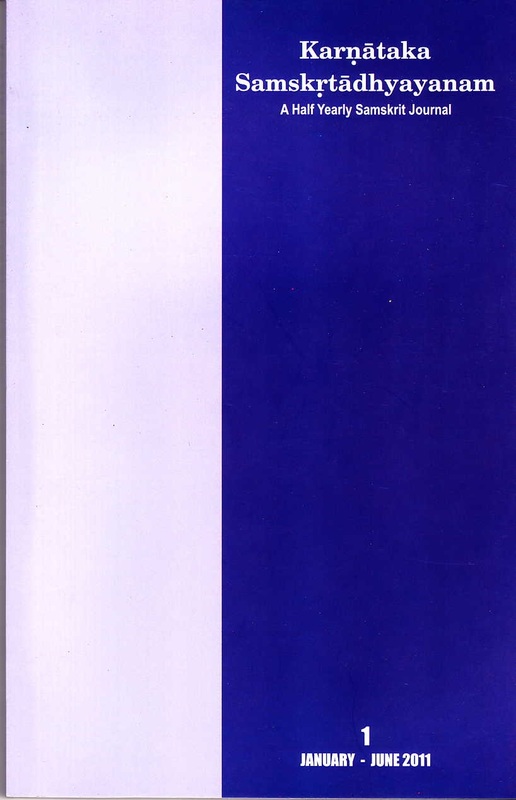 The half yearly journal titled ‘Karnataka Samskritadhyayanam’ is modeled on these foundations. 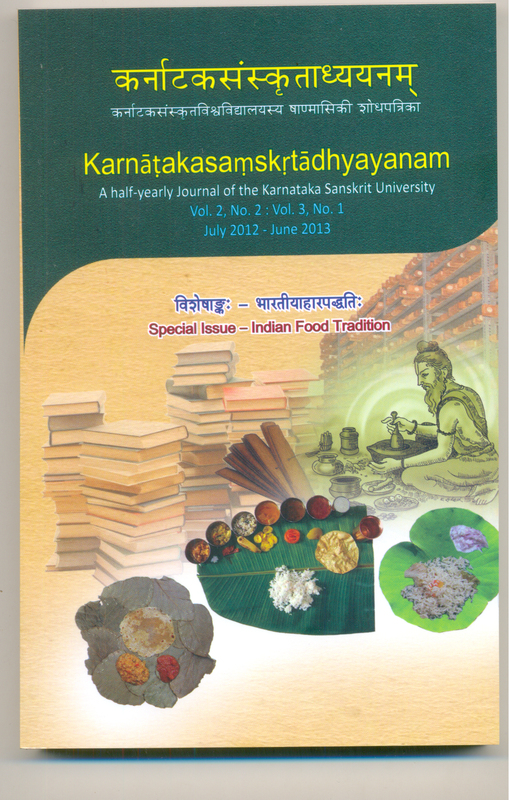 In order to promote research and scholars from Karnataka, Samskrit University is bringing out this research journal. The present has no value without the knowledge of the past. The values of tomorrow will have no value without the understanding of the present. We should revive Sanskrit in the light of these aspects. Karnataka Samskritadhyayanam’ is published with these understandings. This Biannual journal has been registered and assigned ISSN no – 2249-1104. Rs. 300/- for one year. Subscription remittances by Demand Draft/Banker’s Cheque/Money Order to The Finance Officer, Karnataka Samskrit University, Pampa Mahakavi Road, Chamarajapet, Bangalore – 560018, Karnataka, India. All submitted manuscripts will be reviewed by members of the Editorial Board. The Editorial committee may suggest a Peer Panel for reviewing the articles. Decisions to publish or not, request for revisions, re-submission of articles rests entriely with the discretion of the Editorial Committee. Authors should not submit the articles to another journal for simultaneous consideration. Copyright of published matter is completely retained by Karnataka Samskrit University, Bangalore – 560018. Prior permission of the publisher is necessary for reproducing part or whole of the text in print or electronic media. It is the sole responsibility of the contributors to ensure that due acknowledgement of source and authorship wherever applicable of cited matters is given in their articles. Neither the Karnataka Samskrit University, the Editor, the Editorial Board nor the Publishers accept any responsibility, lapses or infringements on the part of contributors. Those who are desirous of having a review of their book may send two copies of the book to the Editor with a covering letter.